Since 1997, Hanson Medical has been a leading manufacturer of high quality solid silicone implants for cosmetic and reconstructive surgery. Our extensive selection of Facial Implants are available sterile and ready to use. We also offer a wide variety of non-sterile Body Contouring implants including Pectoralis, Gluteal and Calf Implants. Additionally, for those rare occasions when one of our stock implants won’t fit the bill, our expert technicians can create a custom implant based on the surgeon’s exact specifications. Quality and safety are our number one priorities at Hanson Medical. Our entire organization is fully aware of the responsibility that goes along with being a manufacturer of implantable medical devices. 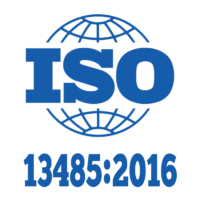 Our products are manufactured in strict compliance with all applicable industry, FDA and GMP requirements as well as the requirements of our own ISO 9001 and ISO 13485 certified quality system. We put significant time and resources into making sure our products are of the highest quality and we are very proud of our quality system and our safety record. The entire Hanson Medical team promises to provide the very best products and service we possibly can. If ever you feel we have failed to deliver on this promise we sincerely hope you will let us know about it. We record each and every complaint we receive, whether it be related to product, service or otherwise. This feedback is recorded and added to a trending report that is reviewed and analyzed at monthly management review meetings. This valuable information is used to help shape procedures, policies and employee training. We appreciate your business and thank you for operating with us!